Fort Collins City Plan kicked off in February 2018, and we are gearing up for City Council's consideration of plan adoption on April 16, 2019! We are incredibly grateful for the input you have shared with us over the past year. 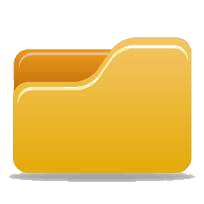 Adoption Drafts of City Plan and the Transit Master Plan are available in the Document Library on the right side of this page. Download the Plans and take a look! Over the next several months, we will be transitioning content on this page and in the Plan documents on to a new website and this page will be archived to make room for other important projects that need your input. Do you have feedback about the City Plan Draft and the Transit Master Plan? Tell us what you think! Click the image to see a larger version of the draft principles and policies (6mb file size). Then, tell us what you think about them by answering the questions below. Share Your Feedback on City Plan's Draft "Big Ideas"
You've told us that there are a lot of things in the last City Plan that are working well. In this update, we'll be carrying many policies forward - our commitment to natural areas, parks, and recreation; our focus on great cultural activities and public art; our support for bicycle and pedestrian transportation options; and our community emphasis on environmental sustainability. We've also heard that we need to adjust our direction in a few important areas like land use, housing, economic sustainability, transportation, and climate action. 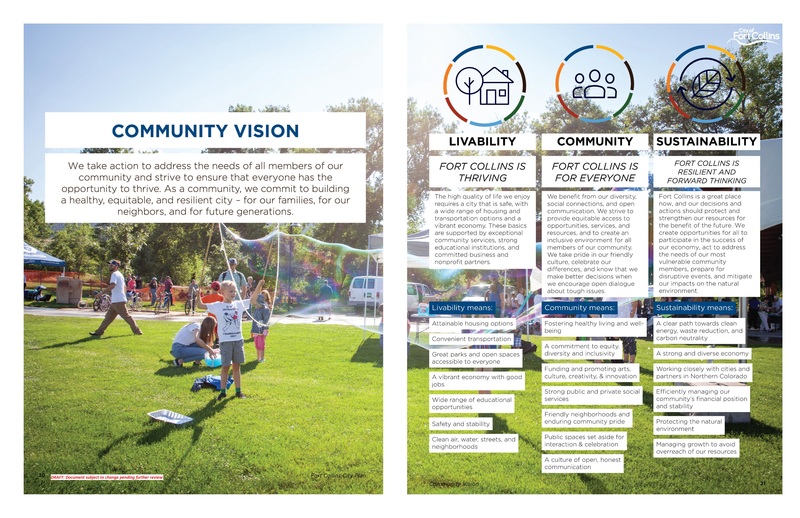 The "big ideas" section of City Plan describes the changes, adjustments, and additions we're planning to help achieve the community's vision for Fort Collins. Click the image to see a larger version of the "big ideas" for this update to City Plan (18mb file size). Then, tell us what you think about them by answering the questions below. Click the image to see a larger version of the draft vision. Then, tell us what you think about it by answering the questions below. If you missed last month's Future of Transit panel discussion, you can still learn more and share your opinions about Fort Collins' transit system! CLOSED: This questionnaire has concluded, but you can always share your thoughts by emailing cityplan@fcgov.com! A vision articulates our most important community values, priorities, and how we'd like the community to develop, look, and feel. We're using our existing City Plan vision to gather community input on which elements should be kept, if ideas are missing, or if anything needs to change. Thank you for your interest in becoming a Plan Ambassador! Please fill out this brief application to tell us more about yourself, who you would like to engage, and what kinds of conversations you’d like to have about City Plan. Alternate responses to this call for plan ambassadors, such as oral presentations, will be accepted as needed. Completed responses must be received by: Friday, February 16, 2018. What is a City Plan Ambassador? City Plan Ambassadors are volunteers who will play a critical role in shaping the future of our community. As an Ambassador, you will be trained and empowered to lead conversations within your own social circles about land use, transportation planning, sustainability, city services and other topics. You will receive facilitation training and discussion materials to go into your neighborhood, work place, or social space to talk with your friends and neighbors. We’ll also provide help with facilitation and other resources (childcare, translation, help finding a meeting space) if you need them. All over Fort Collins, people will be gathering to talk with each other, share ideas, and guide the development of the City Plan update. Anyone can help lead these conversations – all you need is a bit of free time and an interest in hosting great conversations. Ok, I’m in. What do I have to do? We estimate that the total time commitment for a Plan Ambassador will be about 20 hours over the course of 10 months. And it’s easy to get started! First of all, apply below! We will be accepting applications until February 16, 2018. Attend two training sessions. Training for Plan Ambassadors will only take about 5 hours total and will take place on two evenings in late February/early March 2018. Host 3 gatherings (1-2 hours each) over the course of the next 8-9 months. In March, you will host your first gathering to talk about the community vision for the future of Fort Collins. The next two gatherings will focus on scenarios for achieving the community vision and the actual policies and implementation of City Plan. After each of your gatherings, we will ask you to share notes and input from your conversation. The input we receive after each meeting will help shape the direction of the next stage in the planning process. It will also help us understand the issues our community is facing, our shared goals, and what approaches we could take to achieve a community vision for the future. Thank you for your interest. We can’t wait to start planning the city’s future with you! Questions? Contact the City Plan team at cityplan@fcgov.com or 970.416.2283. ¡Gracias por su interés en ser un Embajador del Plan! Por favor complete este formulario para que conozcamos más de usted, a quiénes quisiera involucrar, y el tipo de conversaciones que le gustaría tener sobre el Plan de la Ciudad. De ser necesario, se aceptarán respuestas en modo alterno, tales como presentaciones orales, para esta convocatoria de embajadores del plan. Se deberán recibir respuestas completas para el viernes, 16 de febrero de 2018. ¿Qué es un Embajador del Plan? Los Embajadores del Plan de la Ciudad son voluntarios que juegan un papel crucial en darle forma al futuro de nuestra comunidad. Como Embajador, usted será capacitado y empoderado para dirigir conversaciones dentro de sus círculos sociales sobre el uso de la tierra, planificación del transporte, sostenibilidad, servicios municipales y otros temas. Usted recibirá una capacitación en facilitación, así como materiales de discusión para llevar a su vecindario, lugar de trabajo o espacio social y hablar con sus amigos y vecinos. También le ayudaremos con facilitación y otros recursos (cuidado de niños, traducción, encontrar lugares de reunión) si lo necesita. En todo Fort Collins, se reunirán personas para hablar, compartir ideas, y guiar el desarrollo de la actualización del Plan de la Ciudad. Cualquiera puede ayudar con estas conversaciones – todo lo que necesita es un poco de tiempo libre y un interés en convocar excelentes conversaciones. Muy bien, me apunto. ¿Qué debo hacer? Calculamos que, en total, los Embajadores del Plan deberán invertir como 20 horas en el transcurso de 10 meses. ¡Es fácil comenzar! Primero ¡solicite! Aceptaremos solicitudes hasta el 16 de febrero de 2018. Asista a dos sesiones de capacitación. La capacitación para Embajadores del Plan solo toma como 5 horas en total y se llevará a cabo en dos noches a finales de febrero/inicios de marzo 2018. Realice 3 reuniones (1-2 horas cada una) en el transcurso de los siguientes 8-9 meses. En marzo, realizará su primera reunión para hablar sobre la visión comunitaria para el futuro de Fort Collins. Las siguientes dos reuniones se enfocarán en escenarios para lograr la visión comunitaria y las políticas en sí e implementación del Plan de la Ciudad. Después de cada una de sus reuniones, le pedimos que comparta las anotaciones y aportes de su conversación. Los aportes que recibamos después de cada reunión ayudarán a dar forma a la dirección de la siguiente etapa en el proceso de planeación. También nos ayudará a entender los asuntos que la comunidad enfrenta, nuestras metas compartidas, y las acciones que podemos tomar para lograr la visión comunitaria para el futuro. Gracias por su interés. ¡Esperamos empezar a planear el futuro de la ciudad con usted! ¿Preguntas? Comuníquese con el equipo del Plan de la Ciudad al cityplan@fcgov.com o 970.416.2283. Thank you for your interest in becoming a Community Partner! Please fill out this form to tell us more about your organization, the population(s) your organization is connected to, and why your organization is uniquely qualified to engage traditionally underrepresented groups in the City Plan process. Alternate responses to this call for community partners, such as oral presentations, will be accepted as needed. Please note: The City may follow up after your completed application is received to request additional details. DEADLINE EXTENDED TO FRIDAY, FEBRUARY 23, 2018! 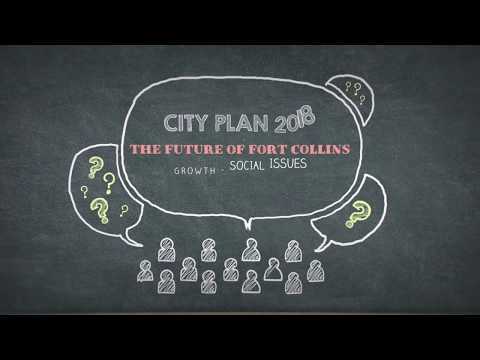 An update to Fort Collins’ comprehensive plan (City Plan) is about to begin, and we want to make sure we hear from a broad cross-section of the community about the future of our city. City Plan provides policy direction and guidance for the way Fort Collins will address land use, transportation, and transit over the next 20 years. We recognize that City staff are not always the most appropriate people to create spaces for genuine, authentic conversations about the future. We also know that public meetings, committees, and evening events are not the best way to reach everyone. That’s where you and your organizations come in. Have you ever wanted to bring people together to talk about the opportunities and challenges facing Fort Collins? Now is your chance! We hope you will consider applying for a Community Partner Grant to help us reach further and deeper in our engagement than ever before. We need to hear everyone’s voice as we develop plans that will shape city growth, transportation, transit, and more! A Community Partner is a representative of an organization that is directly connected to and/or providing services to traditionally underrepresented groups in Fort Collins. Community Partners have a passion for ensuring that all voices are heard in City processes, and want to dedicate some of their time, creativity, and enthusiasm to designing and conducting engagement activities as part of City Plan. Organizations that receive funding will contract with the City Plan team to design, implement, and evaluate engagement activities with traditionally underrepresented groups. Community Partners will be trained, supported and empowered to lead conversations with the populations they serve about land use, transportation planning, sustainability, city services, and other topics. The City will also work with your organization to provide materials for your gatherings and additional resources if you need them. Facilitation assistance, City attendance at your gatherings, or help finding meeting space are a few examples of additional resources that are available to Community Partners. How much funding is available, and how can we use the grant funds? Individual organizations may request up to $5,000 in funding to support their involvement in the Community Partner Grant program. Coalitions of two or more organizations may request up to $7,000. We recognize that Community Partners know their communities best, so funds can be used flexibly to support the types of events and gatherings that will best engage underrepresented groups in the City Plan process. Funding can be used for both direct costs and staff time required to attend trainings, plan, and attend gatherings. Examples of possible funding uses include planning, space rental, food, childcare, translation, coordination, participation incentives, materials, and more. We have allocated $35,000-$40,000 from the overall City Plan budget to support the Community Partner Grant program, and anticipate providing funding to 6-8 different community organizations/nonprofit partners. This funding was specifically identified in the City Plan budget to support equity and inclusion in the City Plan process. The final number and amount of grants will depend on the applications received. My organization would be a great fit for this! What do we need to do? Community Partner organizations will participate in the City Plan process over the next 10 months or so. The exact amount of preparation time required will depend on the types of gatherings you plan, but we estimate that attending trainings, completing required documentation/paperwork, and hosting gatherings will require approximately 30 hours total in addition to prep time. First of all, apply below!! We will be accepting applications until February 16, 2018 February 23, 2018. City staff will contact selected Community Partners by the end of February. Attend two training sessions. Training for Community Partners will only take about 5 hours total and will take place on two dates (TBD) in late February/early March 2018. Host 3 gatherings (1-2 hours each) over the course of the next 8-9 months. We encourage creative events and discussions that will best engage your audience. These gatherings do not have to follow a traditional meeting format. March 2018: You will host your first gathering to share and discuss the community vision for the future of Fort Collins. Oct/Nov 2018: The final gathering will explore the actual policies and implementation of City Plan. After each of your gatherings, we will ask you to share notes and input from your conversation. The input we receive after each meeting will help shape the direction of the next stage in the planning process. It will also help us understand the issues our community is facing, our shared goals, and which approaches we could take to achieve a community vision for the future. How will the City select Community Partners? Demonstrated connection to underrepresented groups – for example – lower-income residents, seniors, youth, Hispanic/Latinx residents, Black/African American residents, LGBTQ residents, residents with disabilities, etc. The City Plan Outreach and Engagement Working Group will review applications and provide recommendations to City staff for grant awards. Staff will contact selected Community Partners by the end of February, 2018. ¡Gracias por su interés en ser socio comunitario! Por favor, rellene este formulario para informarnos sobre su organización y la población a la cual está conectada, así como las razones por las cuales piensa que su organización califica de manera única para atraer la participación de grupos de baja representación, en el proceso de Planificación de la Ciudad. De acuerdo a la necesidad, aceptaremos respuestas alternativas -como presentaciones orales- a este llamado a posibles socios comunitarios. Favor de tener en cuenta que: es posible que la Ciudad decida hacer un seguimiento después de haber recibido su solicitud, para pedir detalles adicionales. Las solicitudes completas deben ser recibidas para el día viernes, 16 de Febrero del 2018. 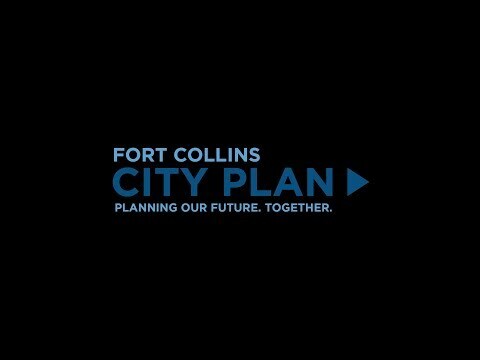 El proceso de actualización del plan integral de la Ciudad de Fort Collins está a punto de iniciarse, y queremos asegurarnos de recibir las opiniones de diversos sectores de la comunidad sobre el futuro de nuestra ciudad. La Planificación de la Ciudad proporciona orientación normativa en cuanto a las políticas de Fort Collins, concernientes al uso de la tierra, así como al tránsito y el transporte, durante los próximos 20 años. Reconocemos que el personal de la Ciudad no es siempre la gente más indicada para crear espacios de diálogo auténtico y genuino sobre el futuro. También sabemos que las asambleas públicas, los comités y los eventos programados para horas de la noche, no constituyen los medios ideales para incluir a todas las personas. ¿Alguna vez ha pensado que le gustaría reunir a la gente para hablar de las oportunidades y desafíos que hay en Fort Collins?¡Esta es su oportunidad! Nos agradaría mucho que Usted considerara la posibilidad de solicitar una Subención para Socios Comunitarios y así ayudarnos a conectar con más personas y con mayor profundidad que nunca en nuestro esfuerzo por promover la participación comunitaria. Necesitamos escuchar todas las voces de la comunidad en el proceso de elaborar los planes que darán forma al crecimiento de la ciudad al transporte y al tránsito y mucho más. ¿Qué es un Socio Comunitario? Un Socio Comunitario es el o la representante de una organización que está directamente conectada, o está proporcionando servicios a grupos de Fort Collins que tradicionalmente no han estado suficientemente representados. Los Socios Comunitarios tienen una verdadera pasión por asegurarse de que todas las voces de la comunidad sean escuchadas en los diferentes procesos que afectan a la Ciudad y desean dedicar parte de su tiempo, creatividad y entusiasmo a planear y facilitar actividades participativas, como parte de la Planificación de la Ciudad. Las organizaciones que reciban fondos entrarán en un contrato con el equipo de Planificación de la Ciudad para diseñar, implementar y evaluar actividades participativas con grupos que tradicionalmente no han estado suficientemente representados. Los Socios Comunitarios serán entrenados, apoyados y empoderados para facilitar conversaciones con las poblaciones a las que ofrecen sus servicios, sobre temas como el uso de la tierra, el planeamiento del transporte, la sostenibilidad, servicios ofrecidos por la ciudad y otros temas. Además, la Ciudad trabajará con su organización para proporcionar materiales para las reuniones, y otros recursos adicionales que sean necesarios. Otros servicios que estarán disponibles para los Socios Comunitarios son: apoyo con el facilitamiento de conversaciones, asistencia del personal de la Ciudad a sus reuniones comunitarias, o ayuda con la identificación de locales de reunión. Residentes que viven fuera de los límites de Fort Collins, pero dentro del área de Administración de Crecimiento. ¿Cuánta ayuda financiera está disponible, y cómo se pueden usar los fondos del subsidio? Una organización individual puede solicitar hasta $5,000 de los fondos disponibles para apoyar su participación en el Programa de Subsidio para Socios Comunitarios. Las coaliciones de dos o más organizaciones pueden solicitar hasta $7,000. Reconociendo el hecho de que los Socios Comunitarios son los que mejor conocen a sus comunidades, contemplamos la utilización flexible de los fondos para apoyar los tipos de eventos o reuniones que mejor promuevan la participación de grupos de baja representación en el proceso de Planificación de la Ciudad. Los fondos pueden ser utilizados para cubrir, tanto costos directos, como el tiempo que el personal debe emplear para asistir a reuniones y programas de entrenamiento y planificación. Algunos ejemplos de posibles usos de fondos incluyen: alquiler de locales, planificación, comida, cuidado de niños, traducción, coordinación, incentivos de participación, materiales y mucho más. Hemos asignado $35,000-$40,000 del presupuesto total de Planificación de la Ciudad para respaldar el programa de Subsidios para Socios Comunitarios, y prevemos que proporcionaremos fondos a 6-8 diferentes organizaciones o socios sin fines de lucro. Estos fondos fueron específicamente identificados en el Presupuesto de Planificación de la Ciudad para promover y apoyar la equidad y la inclusividad en el proceso de Planificación de la Ciudad. El número definitivo de subsidios y la cantidad otorgada en cada uno de ellos, dependerá del número de solicitudes recibidas. ¡Mi organización sería un candidato ideal para este programa! ¿Qué pasos necesito tomar? Las organizaciones consideradas Socios Comunitarios, participarán en el proceso de Planificación de la Ciudad durante los próximos 10 meses, aproximadamente. El nivel preciso de preparación necesaria dependerá de los tipos de encuentros que planee su organización, pero estimamos que la asistencia a programas de entrenamiento, la documentación y papeleo necesario, y la realización de encuentros comunitarios, llevarán aproximadamente un total de 30 horas, además del tiempo de preparación. ¡Es muy fácil empezar el proceso! En primer lugar, llene la solicitud!! Aceptaremos solicitudes hasta el 16 de febrero del 2018. Un funcionario de la Ciudad se pondrá en contacto con los Socios Comunitarios seleccionados el día viernes, 23 de febrero, a más tardar. Asista a dos sesiones de entrenamieno. El entrenamiento de los Socios Comunitarios durará solo 5 horas aproximadamente, y se llevará a cabo en dos sesiones, a finales de febrero o principios de marzo (fechas exactas a ser anunciadas). Organice 3 reuniones (de 1-2 horas cada una) en el curso de los siguientes 8-9 meses. Alentamos a los Socios a que organicen eventos y discusiones creativas que atraigan y promuevan la participación de la audiencia. Estos encuentros no necesitan seguir el formato de una reunión tradicional. Marzo del 2018: El primer encuentro se realizará para compartir e intercambiar opiniones acerca de la visión que tenga la comunidad sobre el futuro de Fort Collins. Mayo o Junio del 2018: Este encuentro se enfocará en las posibles maneras de llegar a una visión comunitaria. Octubre o Noviembre del 2018: El ecuentro final se dedicará a explorar las estrategias y directrices en sí y la implementación del Plan de la Ciudad. Después de cada uno de estos encuentros, le pediremos que comparta sus notas y las ideas aportadas durante su conversación. Estas apreciaciones nos ayudarán a definir la dirección de la próxima etapa en el proceso de planificación. También nos ayudarán a comprender mejor las cuestiones a las que se enfrenta la comunidad, las metas que compartimos, y los enfoques que podemos adoptar para lograr una visión comunitaria para el futuro. ¿Cómo serán seleccionados los Socios Comunitarios? Evidencia de una conexión con grupos escasamente representados –por ejemplo, residentes de bajos ingresos, personas mayores, jóvenes, residentes de origen latino/hispano, residentes afroamericanos o afrodescendientes en general, residentes LGBTQ, residentes con discapacidades, etc. El Equipo de Trabajo para la Divulgación y Participación en la Planificación de la Ciudad finalizará la revisión de solicitudes y las recomendaciones de adjudicación al personal de la Ciudad, para el día 23 de febrero del 2018. Gracias por su interés. ¡Estamos ansiosos por empezar a planificar el futuro de la ciudad con Usted! ¿Preguntas? Póngase en contacto con el equipo de Planificación de la Ciudad, a la siguiente dirección electrónica: cityplan@fcgov.com o al siguiente número telefónico: 970.416.2283. Where are we now? Where are we headed? Click here to play video City Plan Scenarios Video This four-minute video walks step-by-step through each of the three City Plan Scenarios. What do you think about how Fort Collins should change in the future? Be sure to fill out the online questionnaire and share your thoughts!